With the Action and Reaction Kit, students address their own health and safety. Easier and quicker than a stopwatch, this battery-operated digital timer requires only a tap to measure to hundredths of a second. You can measure response times to light, sounds, and touch and explore sensory skills through a series of hand-eye coordination activities. This activity was developed by the Lawrence Hall of Science Health Activities Project (HAPS). Students integrate concepts from social studies, communications, and language arts as they apply the scientific method to this activity. You can utilize the kit as a demonstration or in individual setups and plot the results on a reusable wall chart. 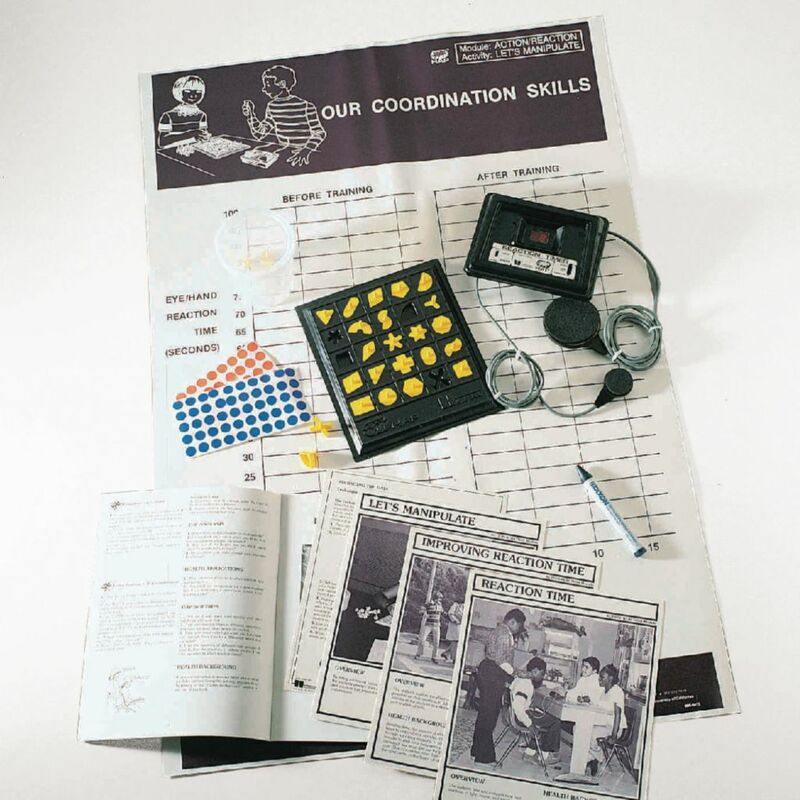 Ordering information: This kit includes a reaction timer, batteries, game board and pieces, wall chart, labeling supplies, and teacher’s guide and activity packet with three different activities.